There is a piece of land on the Chicago River near the Merchandise Mart that is called Wolf Point. It has remained undeveloped for many years, as maybe it should. 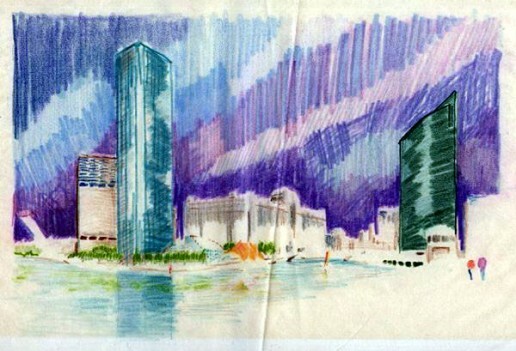 While working at an architectural firm in the 1980’s Randal did this concept sketch of putting a high rise commercial and residential tower on the property. Color pencils on yellow tissue paper.